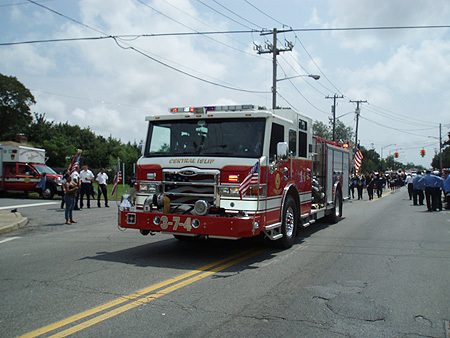 As the population of Central Islip expanded and new homes were added to the eastern portion of town, it was determined that a new Engine Company and sub-station would be needed. On March 20, 1970, a discussion was held concerning the formation of a new 25 member Company. Local Civic Associations were approached to recruit new members. On February 19, 1971, Chief William I. Miller informed the Board of Fire Commissioners that 20 individuals would take an indoctrination course to familiarize themselves with Department operations. On March 19, 1971, a total of 10 applications were submitted and approved for membership – the names of these members were: Fred Stichweh, Edward Porter, Donald Maiello, Fred Kavanagh, Alvin Schreyer, William Raynor, Stuart J. Claar, Herbert Nissen, Donald Vielie and Peter Muroski. Members later approved, from May through July of this year, were: Douglas Masterson, Jon Bruns, Edward Rhoades, Thomas Crowe, Edward Mitchell, Robert Cinque, Henry Caron, John Bluni, Frank Trainor and Bernard Cinquemani. Engine #4 held their first Company Meeting in August of 1971. Frank Erickson and Santos Reyes were approved as members at that time. This group of twenty-two represent the Charter Members of Engine & Hose Company #4. After being organized in 1971, Engine & Hose Company #4 was temporarily assigned to Station #2 until the completion of Station #3 in 1972. The Company has been assigned to this Station ever since.